The Lotte lamp is an iconic silhouette in mid-century design. The Bostlund family immigrated from Denmark in the early 1950’s and with them they brought their knowledge of ceramic engineering, and fine art. 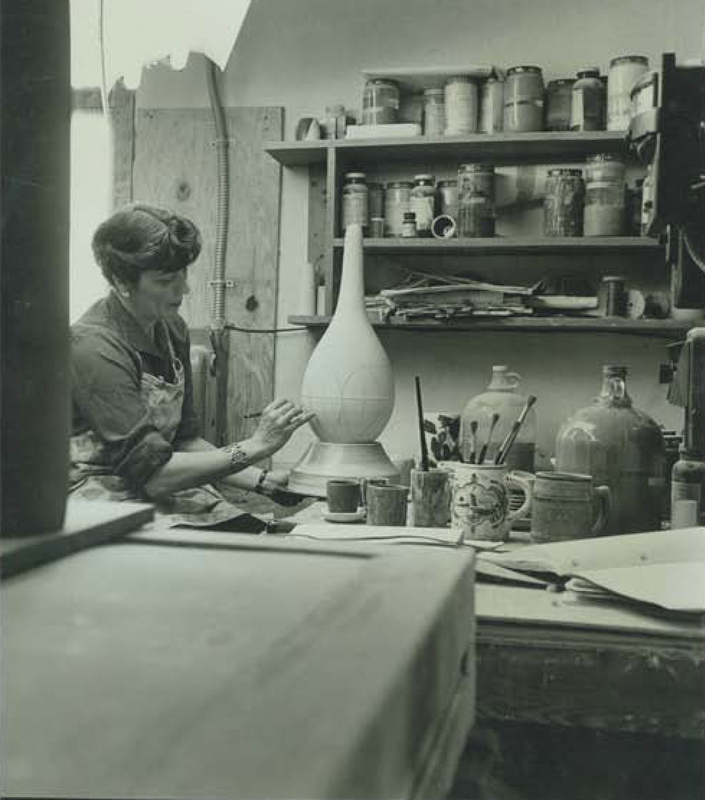 By 1956 they Lotte and Gunnar were designing, producing, and selling several pieces of pottery art, including three lamps (two of which are still in production today). Many of the lamps were hand carved, or hand painted by Lotte or other family members. Vintage lamps that are carved or painted are circulating in collectors markets, and sometimes fetching up to $1500 for one lamp. By the 1960’s their son Morten was producing fiberglass lampshades, and the Lotte Lamp we know of today was complete. The business was held onto by the family until 1997 when it was sold. However the lamps are still produced today with the same master molds created by Lotte and Gunnar Bostland in 1957. One of the original designs is still in production today.